Let’s talk celery. You buy a big bunch with great intentions. After a while, the celery starts to look a little sad. You can wrap your celery in foil to make it last longer, but eventually, we have to give up the fight. Save your celery my friends! 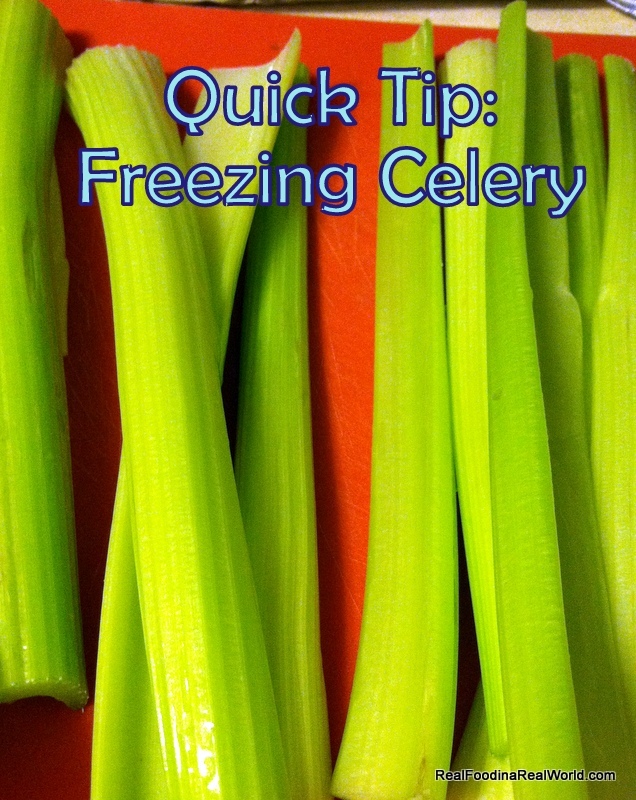 Now, according to every resource out there, celery needs to be blanched before freezing. I’m sure if you feel like going down that path, it will work delightfully. For me, freezing without blanching works just fine. The only applications I use my frozen celery for are things like soups and stews. If you were to need your frozen celery for any other purpose, you might find it to be too soft. Wash and dry your celery. Dice into slightly larger sections than you will need for the final destination. 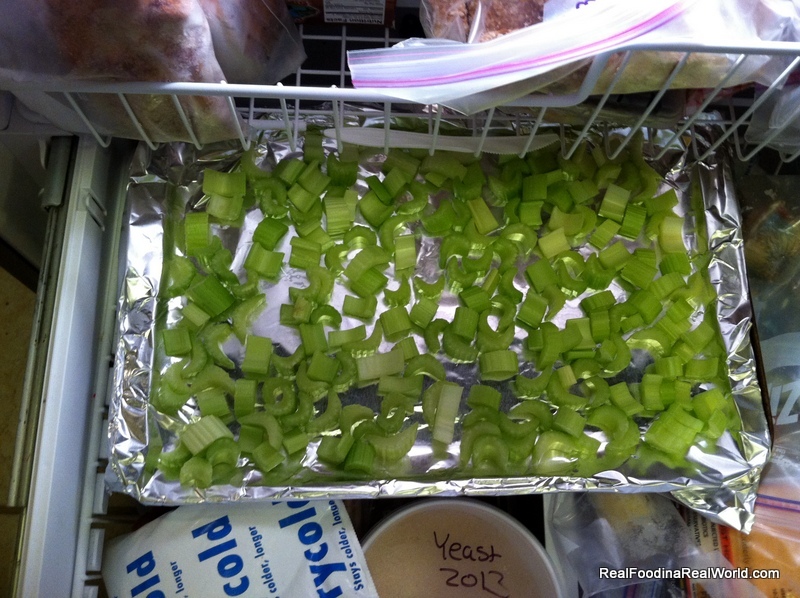 Freeze on a baking sheet and then place into a zip top bag. Look at you, combating food waste and saving your celery! You are a Real Food superhero!